For the scope of this guide, we are assuming that you know what an OpenVPN (VPN) is if you are not sure about it and require more information please check our FAQ. Replace SEEDBOX_IP_GOES_HERE next to remote with your Seedbox IP that was provided in “My Services” page in your client area. 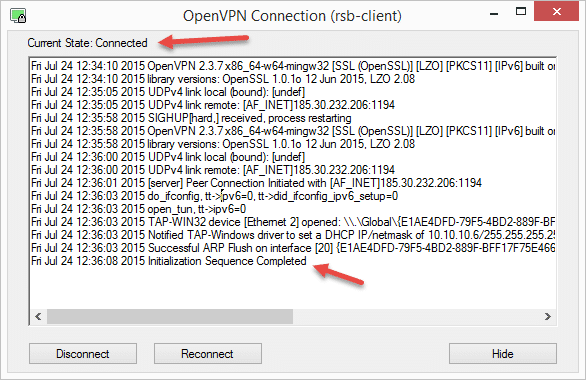 Copy the updated configuration file to the config (configurations) folder of your OpenVPN client. If you’re using Tunnelblick (OpenVPN for Mac), please rename the .ovpn configuration so it has a .tlbk extension instead, once this is done copy it to the empty configuration folder and process to the next step. 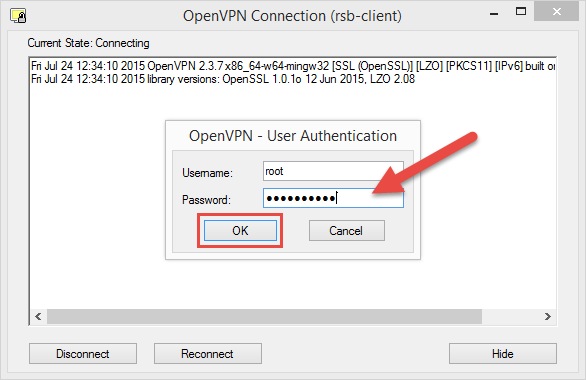 Click on Connect in your OpenVPN client and the VPN connection sequence will begin. Shortly after you will be asked to submit your username and password. Please submit your credentials as provided in “My Services” page in your client area. 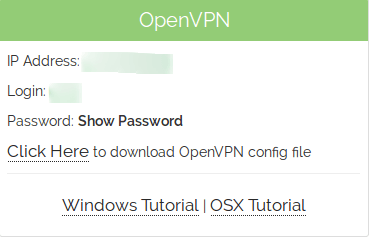 OpenVPN Client will now initiate the connection sequence and once completed you will be connected to your anonymous connection via the Seedbox. To verify a successful connection, your client will have a “Connected” status and its icon might be colored in green. For applying this fix two ways are available automatic and manual. The software is developed in order to fix DNS leaks on Windows. When downloading is finished run the dnsfixsetup file. The purpose of this software is to generate three scripts for each OpenVPN configuration files to execute mentioned steps above. This solution implies that you need to clear DNS manually. The solution below does not switch the adapter to static if you are using DHCP. If you do not switch to a static IP configuration and your computer renews its IP address whilst connected to the VPN, the DNS settings may be overwritten. It is highly recommended to switch to a static IP configuration. 2. Identify the name of the connected network interface. In our case, it is “Local Area Connection” ( See image below ). 8. Flush DNS resolver cache. Not sure how? Therefore, please contact us and we will help you.